In other words, with a goal to eliminate or minimize the potential for injury or illness, an AHA is a risk management process to identify and control hazards associated with work activities, before work begins. The AHA process utilizes a Risk Assessment Code (RAC) to focus workers’ attention on those steps and activities with the greatest risk for injury or illness. The AHA document is the culmination of this process. Ideally, development of the AHA should involve: 1.) field crews/workers, since they are performing the work and have the most knowledge of the work steps, equipment required, and hazards and controls associated with each; and 2.) safety professionals, who can provide health and safety expertise including the application of engineering, PPE and administrative controls and the residual risk remaining after controls are applied. Supervisors or foremen should also participate, and review and sign-off on the AHA template before work begins. Could any other factors contribute? What is the likelihood this could occur? In going through the AHA process it’s always best to err on the side of safety. Since the cost in of work place injuries or illnesses may be significant, be conservative in analyzing the potential for harm, risk, and the effectiveness of controls. Workers and their families benefit, and the project and company benefit if hazards can be eliminated or controlled. Also, by minimizing or eliminating the potential for injuries, work disruptions, additional workers compensation costs, and lost productivity can be minimized. As the old cliché goes: It’s better to be safe than sorry. An AHA document created through the AHA process should, above all else, be easy to use and understand, but detailed enough to create a complete record of the AHA process. AHA’s are living documents and should be created in the field and updated (by the workers) as conditions change. 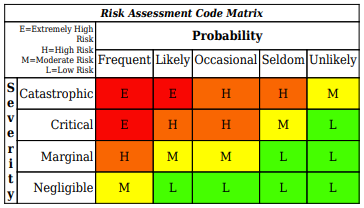 The best activity hazard analysis template provides enough prompts (e.g., list of hazards and controls, consequences and RAC) to help workers easily and efficiently identify hazard and controls. The AHA Template should also be formatted to aid in building work steps in which hazards and controls can be matched, and be designed for easy copying, editing (in the event conditions change), and storing for future use. The storing of AHA information is where the real value lies. A database-integrated activity hazard analysis template can be used to file your previous completed AHAs and, if properly designed, efficiently allow your AHA knowledge to be used on the next project or by others in your organization. A database-integrated AHA template also provide data for analysis. Top hazards and controls should be able to be charted, and allow for organizations to focus actions (additional controls) and training on higher risk hazards. Since AHA’s should not be a static document, a database-integrated template can be easily and efficiently changed to reflect any change in conditions. 1. Worksheet Setup – project name, job title, department, hazard (physical, chemical, biological, radiological. 2. General Information – location, person(s) performing the job and the AHA, and work start date and duration. 3. Physical Hazards – select from +80 physical hazards, plus text boxes to add. 4. Chemical Hazards - select from +300 chemicals, plus text boxes to add. 5. Biological Hazards - select from +15 biological hazard, plus text boxes to add. 6. Radiological Hazards – select from 10 radiological hazards, plus text boxes to add. 7. Job Description – enter work activity steps, select from physical, chemical, biological and radiological hazards, enter safe job procedures and RAC: Extremely High Risk, High Risk medium Risk, and Low Risk. 8. Equipment, Inspection, Training – enter equipment to be used on the job, type of inspections and frequency, and training required. The final product of JSABuilder is an AHA document that can be printed and shared with work crews in pre-job safety meetings and/or daily tailgate meeting. Also, AHA’s created and stored in JSABuilder can be edited, copied, deleted, and shared with others in your organization. The data stored in JSABuilder is analyzed and compared to the community. Top ten hazards (physical, chemical, biological and radiological hazards) and controls (engineering, personal protective equipment, admin controls and, training,) are provided so organizations can compare themselves to others. An AHA Template is a form to document the AHA process. The form is required by USACE to include certain features – e.g., hazards and controls, risk assessment, equipment and training. It should be easy to use and understand; yet detailed enough to document the process. Storing AHA information in a database ensure the AHA knowledge is retained and managed to the benefit of workers and the organization. JSABuilder.com is a service of HASP Online, LLC, a wholly-owned subsidiary of EnviroSolve Corporation.